The heat in Queensland can do crazy things to a person. The ground is too hot to walk on, air-con just doesn’t seem to cool us down and we insist on flinging ourselves into any body of water available, even if it means battling the school holiday crowds at Southbank. Heck, even having a splash in the brown snake seems totally reasonable (don’t do it, please.) We recommend standing back from the river walk and instead diving into one of our favourite restaurants for desserts that’ll cool you down and sweeten up summer. We don’t mean to sound cheesey – but this dessert takes the cake. As true blue as lamingtons, the wattle seed and lemon myrtle cheesecake from Deer Duck is a national treasure. 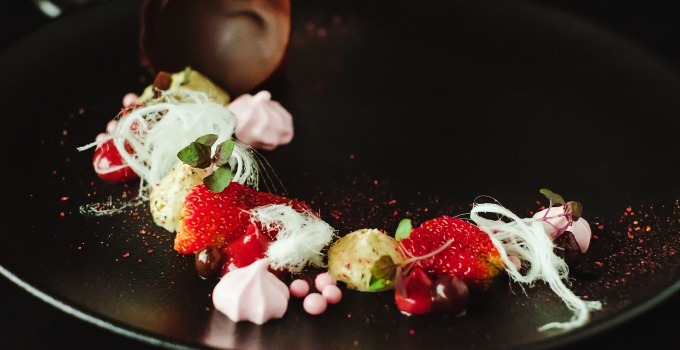 Accompanied with strawberry crisp pearls, dark chocolate, riberry couli and Persian fairy floss, it’s the perfect way to end ducking into our favourite Auchenflower haunt. When the decision between chocolate and fruit dessert is too difficult – take a detour somewhere your sweetest dreams are waiting to come true. 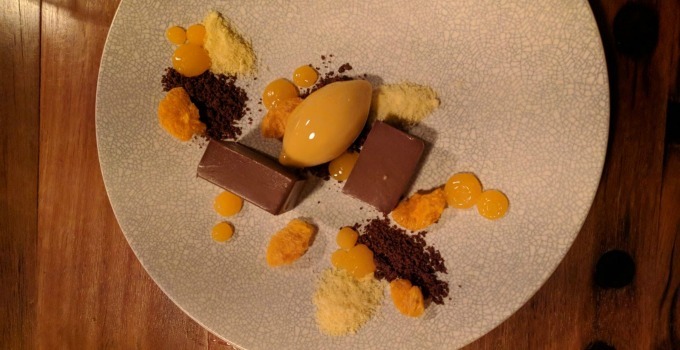 We can’t look past the chocolate mandarin marquis: mandarin jellies, sorbet and dehydrated segments paired with rich chocolate. We’ve been babbling on so much recently about breakfast pana cotta we’ve been guilty of neglecting their dessert cousins – not anymore. 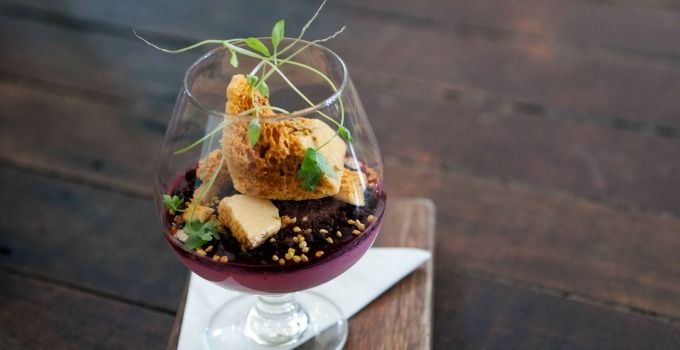 With mascarpone, beetroot, chocolate soil, honeycomb and bee pollen, this dessert is sure to have you buzzing long after dinner. Who decided that ‘a lemon’ was bad? Whoever they were clearly has never had the divine pleasure of sampling the lemon dessert from Bacchus. With limoncello, lemon jam, lemon candy and a fluffy meringue – this dessert might be tart but it’s anything but bitter. It might be too hot for traditional roasts, but it’s never too hot for traditional Christmas desserts. 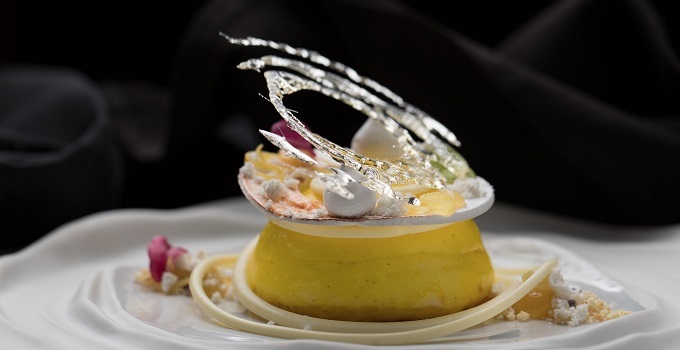 The native Australian inspired special menu at Emporium Hotel’s Belle Epoque patisserie includes sweet treats like eggnog trifle and pumpkin pie, candy cane and mince pie macarons, wattle seed and vanilla yule log and smoked honey nougat. Not content with just decorating your tree with baubles? Literally put your money where your mouth is and get stuck into combinations including macadamia and Lilly Pilly, spiced rum and citrus and coconut and fruit mince. With a rotating daily menu, it’s easy to get completely overwhelmed at Gelato Messina. Whether you’re a sucker for sorbet or a kook for all things creamy – there’s a flavour (or six) for everyone at Gelato Messina. Our favourites? Blood orange sorbet and classic Bounty. Heart eyes all around! So grab your thongs and hit the melting pavement, we need to cool down with some hot, hot desserts. Words by Emma Callaghan – the gourmand who isn’t above eating Ben & Jerry’s for breakfast.